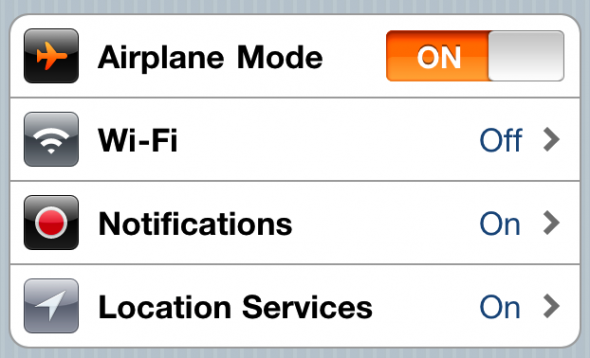 Anyone who has ever flown knows the drill: Use of electronics devices is prohibited during taxiing, take off, and landing. The regulation applies to everything from smartphones to tablets, notebooks, e-readers and portable media players. The impact ranges from mere inconvenience to an outright problem for many travelers. Sure, it’s not that big a deal to stop listening to a podcast or reading an e-book for ten minutes while a plane taxis to a gate. But if you’re trying to coordinate transportation, working on a tight deadline, or (heaven forbid) twiddling your thumbs while delayed on the tarmac, the ban can represent a serious problem. There may be a reprieve in sight: For the first time in six years, the Federal Aviation Administration is going to take a fresh look at the use of consumer electronics devices during flight — including taxiing, take off, and landing. The report isn’t due until next year, and then the FAA will have to decide whether to take further action or propose rule changes, but it’s the first sign in a long time that portable electronics could finally get more leeway on planes. But why is a ban in place at all? We’ve all heard of people inadvertently leaving their cell phones on during a flight (or maybe even done it ourselves). Magically, the plane didn’t crash. What’s all the fuss about? How could something like an iPad cause problems for a massive vehicle designed to fly safely through lightning storms? The FAA hasn’t promised any change of rules. Instead, the agency will be forming a group comprised of members from the mobile technology and airline industries, as well as government government officials. They’ll evaluate how airlines and aircraft operators determine when portable electronic devices can be used in flight, with an eye towards permitting more-widespread use. The group will look at tests performed by airlines to determine whether technologies are safe, including evaluations of newer technologies that might be safe to use on board aircraft. 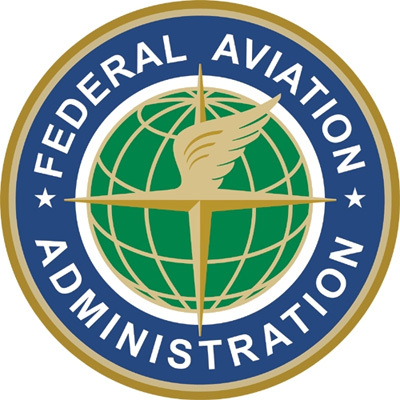 Once the evaluation is complete, the group will report its recommendations to the FAA proper, which will then decide how to proceed. The group will meet for six months, which means the soonest we can expect to hear about any possible rule changes would probably March 2013. So don’t hold your breath. One thing that will not be up for consideration: use of cell phones or voice communications technologies during flight. Mobile phone use will still be banned, regardless of what the study group concludes. The ban on in-flight mobile phone usage in the United States is actually from the Federal Communications Commission (FCC), not the FAA. Individual aircraft operators are empowered to allow use of devices — other than mobile phones — if the operators have determined the devices won’t cause problems. This arrangement neatly removes the FAA from having any responsibility for testing: If an aircraft operator like Delta wants to allow use of particular devices, the onus (and cost) of conducting tests and proving the devices are safe to use falls completely on them. And guess what? Most airlines don’t do much testing because it’s expensive, and current guidelines require individual devices be tested in isolation. That means if an airline wanted to approve (say) the Samsung Galaxy Tab 10.1, it would have to equip a plane with all the necessary measurement gear, then test the use of that device on a flight with no passengers. If they wanted to test the Samsung Galaxy Tab 2, guess what? That’s another flight all by itself… and so on down the line for every device that airlines want to approve for in-flight use. The same thing applies to different models of plane: If an airline conducted a test on an Airbus A310, those results wouldn’t translate to a Boeing 777. So that’s another round of testing, with at least one flight per device. The idea behind the FAA’s new initiative is to figure out a way to streamline the testing process so devices can more efficiently be authorized for in-flight use — or not. 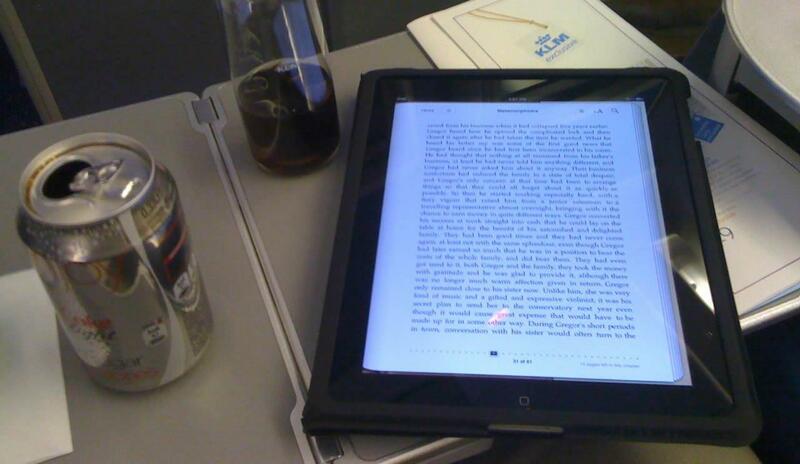 So why are everyday portable electronics devices banned during takeoff, landing, and taxiing? The simple answer is interference. Most modern aircraft have a dozen or more radio systems in operation, handling everything from voice communications with air traffic controllers, to navigation, to radar. Many portable electronic devices actively emit radio signals: In the case of mobile phones, the reason is obvious (they use radio to transmit and receive data via cell towers) but even devices like notebooks, ereaders, and music players can emit radio waves, whether intentionally (Bluetooth and Wi-Fi) or unintentionally (perhaps a failing screen or disk drive). Even seemingly-innocuous things like a remote control might be problematic. The fear is that devices’ radio emissions will interfere with the operation of in-flight systems. Many of the flight-critical radio systems on a passenger airliner are (logically enough) in the crew compartment, so a passenger with an iPod in seat 27C isn’t much of an issue. However, some avionics systems can also be located along the upper portion of the passenger compartment, under the passenger compartment, or elsewhere on a plane. Passengers may never know it, but they could be within a couple feet of a radio-dependent airplane system. GPS signals used in navigation are a particular concern. 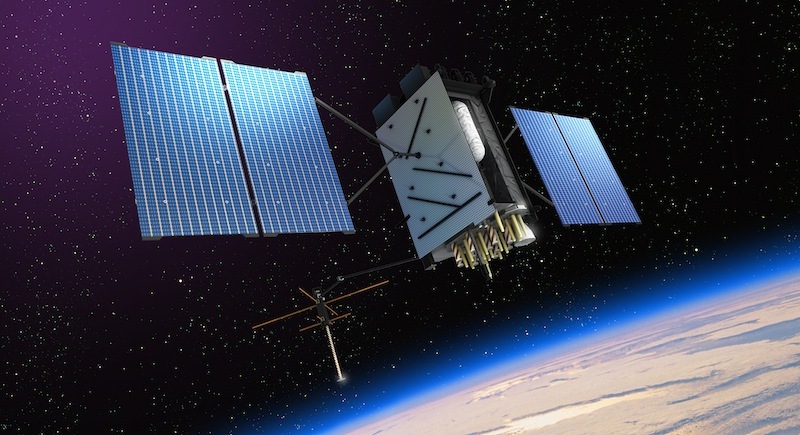 GPS is a passive system: Low-power (think quiet) signals are beamed down to earth from a series of geostationary satellites in earth orbit. GPS receivers have to pick up these low-power signals, separate them out to identify beams from individual satellites, and use that data to perform location calculations. Although GPS bands aren’t particularly close to frequencies used by cell phones, commercial radio, Wi-Fi, and other common devices, it doesn’t take a very strong signal to interfere with those quiet GPS signals — particularly if the interfering device is just a few feet from a GPS receiver. Interference isn’t limited to just GPS. Have you ever set down a GSM mobile phone on top of a boom box or a guitar amp, and heard the periodic “dit-dit-dit” over the speaker when the phone checks in with the cell network? The same thing can happen with voice communications on a plane. That kind of interference can make a pilot or ground controller mis-hear instructions or information, creating confusion or delays. And, of course, in an emergency every second counts. Surely airplanes are made of sterner stuff? 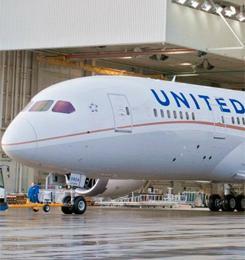 All critical airline systems are shielded. After all, passenger airplanes are designed to handle harsh environmental conditions and even things like lightning strikes without losing their avionics. Surely a battery-operated ereader can’t hold a candle to that kind of stress! That’s absolutely true. The radio emissions from everyday consumer electronic devices in theory pose virtually no risk to the deliberately hardened and shielded avionics on an airplane. Furthermore, the handful of studies and reports that have been collected offer little or no evidence that consumer electronic devices have interfered with avionics systems. There are individual reports where pilots and crew speculate that a problem might have been from use of on-board devices (you can check some out in NASA’s recent update on reports of interference), but no conclusive evidence or problems that investigators have been able to reproduce. Nonetheless, what’s true in theory isn’t necessarily true in practice. Commercial airlines fly hundreds of thousands of miles a year and undergo several pressurizations and depressurizations every day. The planes and their equipment are subject to intense heat, intense cold, condensation, moisture, freezing, corrosion, and the undeniable wear and tear of routine aircraft operations. A system that left an aircraft plant completely shielded from outside electronic interference may not be completely shielded after five years of routine use and millions of logged air miles. Remember that the average age of commercial aircraft fleets is much greater than five years. Comprehensive information isn’t really available, but estimates are interesting. 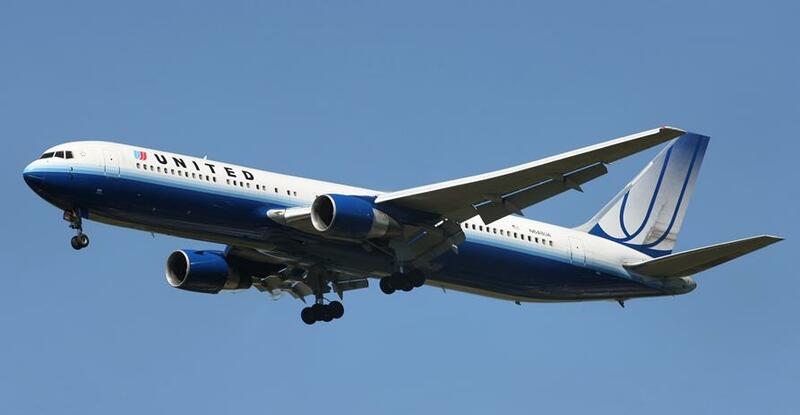 For instance, many major U.S. air carriers are still operating planes that are 20 years old, or older. Some of the systems on these planes predate Wi-Fi, Bluetooth, 2G, 3G, and 4G technologies — heck, many of those planes predate the widespread availability of any mobile phones. Consumer electronics are shielded too, but the same wear-and-tear factors can make some devices emit more radio interference than intended; similarly, devices that have been modified or innovatively combined with other components may be pushing out more powerful radio waves than anybody knows. The quickly-shifting landscape of consumer electronics means it’s practically impossible to keep tabs on all the devices someone might bring on a plane, let alone how much interference those devices might be generating. Flying a commercial airliner might not be rocket science, but it’s pretty much the next best closest thing — and the human cost of an accident can be catastrophic. So, the FAA intentionally errs on the side of safety: Better to ban all use of portable electronics than roll the dice that, on a particular plane with a particular set of passengers using a particular set of devices — nothing will go wrong. If any increased risk in flying is avoidable, why take the chance? Nonetheless, more and more people are taking personal electronics on board airplanes, and, especially in the case of mobile phones, often leaving them on for the entire flight. Although the real-world risk from these devices may be small, the FAA’s new initiative at least represents a hope that someone, somewhere will start conducting rigorous, real-world testing of these devices and their impact on avionics. If testing uncovers legitimate problems, it should be very easy to convince passengers to turn off their devices for everyone’s safety. If no problems are found, consumers will be relieved that they don’t have to use their devices surreptitiously or be chastised by flight attendants for playing Words with Friends. Until then, we’re all flying blind.